Aayingudi a small hamlet lies on Rayavaram-Kothamangalam route and nearly a kilometer from Rayavaram.1, 2 The Malaikoluntheeswarar temple lies to the west of the village Aayingudi on its out skirts, which originated as a rock-cut shrine cell developed into a small complex with various mandapas and shrines around it. The shrine cell is excavated on the eastern precipice of a rock boulder. The name of the deity is Malaikoluntheeswarar3. It is one among the rock cut shrine lies to the south of the town Pudukkottai. The main entrance to the temple is on the east. The first mandapa is known in the name of its sponsor Aa.Ra.Ramasamy Chettiyar. The vahana of the temple is kept on northern side of this mandapa. 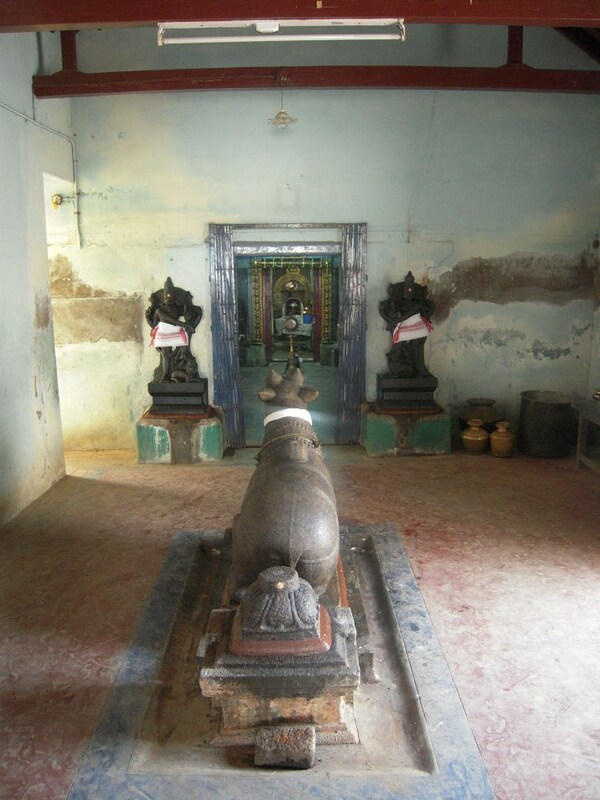 The first mandapa leads to a passage where Nandi and balitala placed in the center facing the sanctum. The passage has doorway both on the north and south to reach the open prakara. 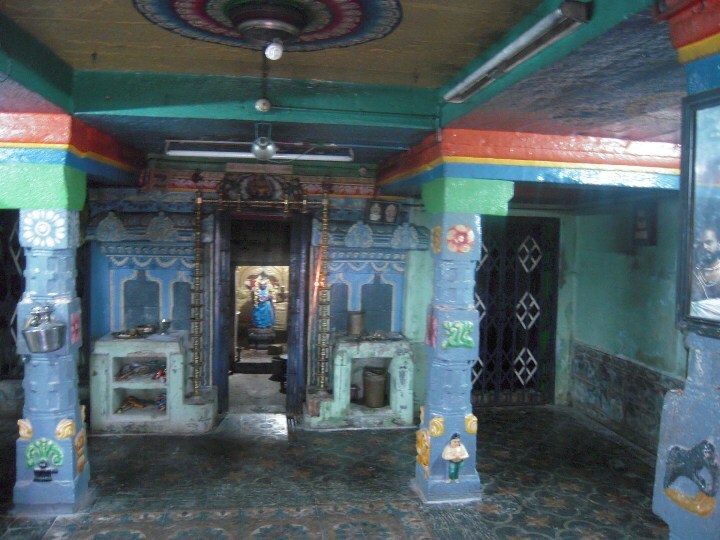 The northern doorway leads to the northern prakara where the shrines of Bhairava and Navagraha are seen, followed by a shrine for Linga and a shrine in the north-west houses Muruga and his consorts. 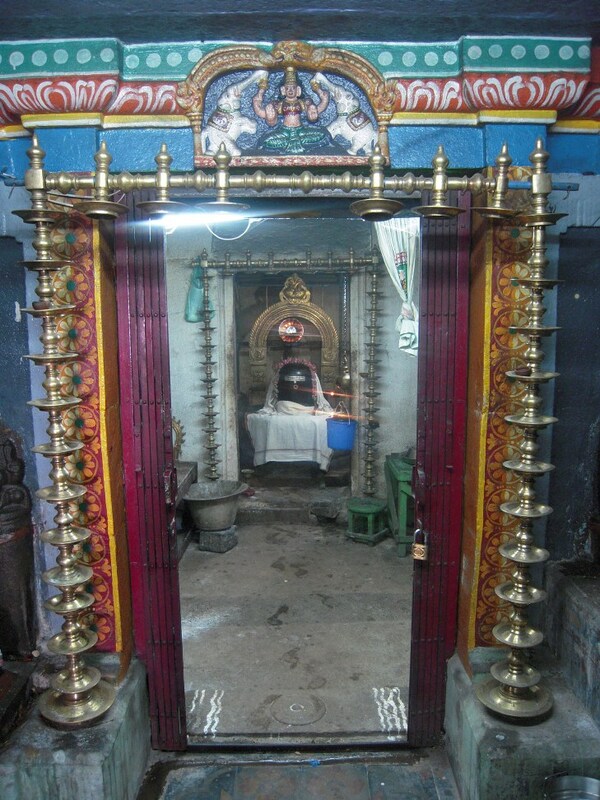 Sarasvathi, Mahalakshmi and Durga are kept in a separate shrine. The first mandapa, the passage and the shrines in the prakara are of very late origin with cement flooring and roofing. The passage leads to the mukha mandapa where the entrance is flanked by dvarapalas. 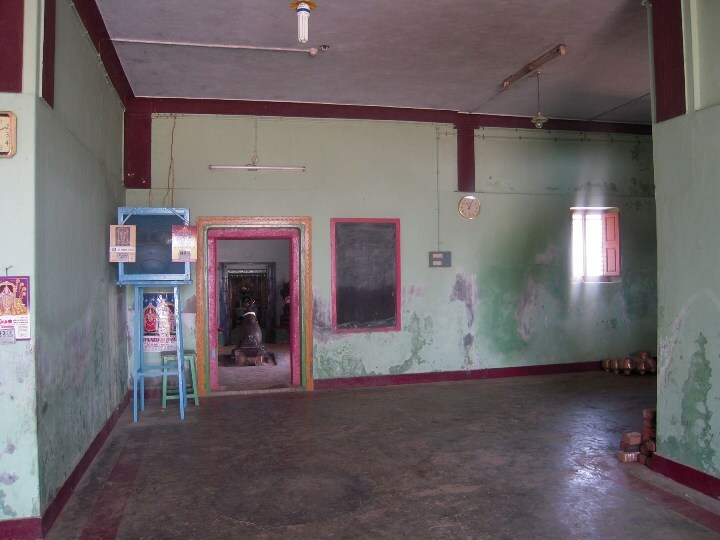 The mukha mandapa is a pillared hall, in which, on the northern side is a shrine for goddess Sri Mangala Nayaki Amman facing south and on the west, north and south are seen closed provisions on a raised platform, where bronze icons are kept. The pillars of the mandapa are four in number and are sectioned as three squares and kattu in between. The faces of the squares are adorned with miniatures and the corners of the lower squares are adorned with nagabandhas. The potikas are vettu and hold the prastara above. The roof of the mandapa is paved with stone slabs. 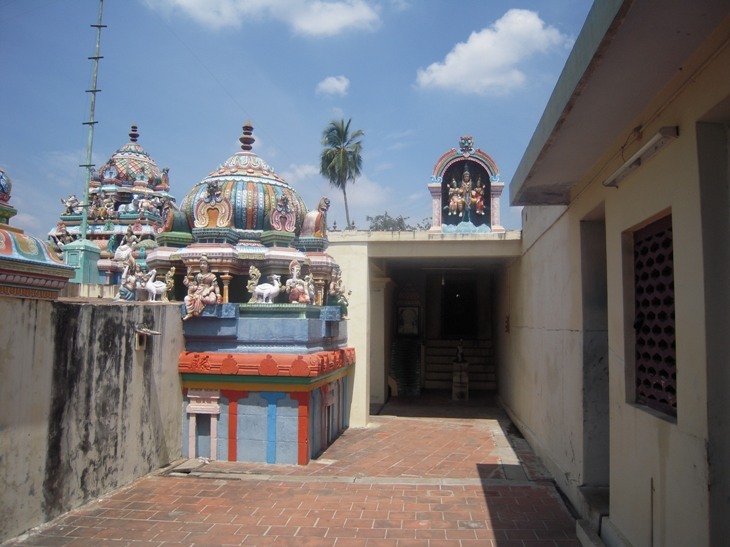 The Mangala Nayagi Amman shrine consists of a single tier vesara vimana and a mukha mandapa. The goddess is standing on a pedestal in sama with her right hand carrying a flower and the left hand dola to her left. Another entrance to the mukha mandapa is on the south opposite to the Amman shrine where dvarapalikas are kept. The mukha mandapa is partly stone and cement construction and decorated with rich colours of paintings and patterns. 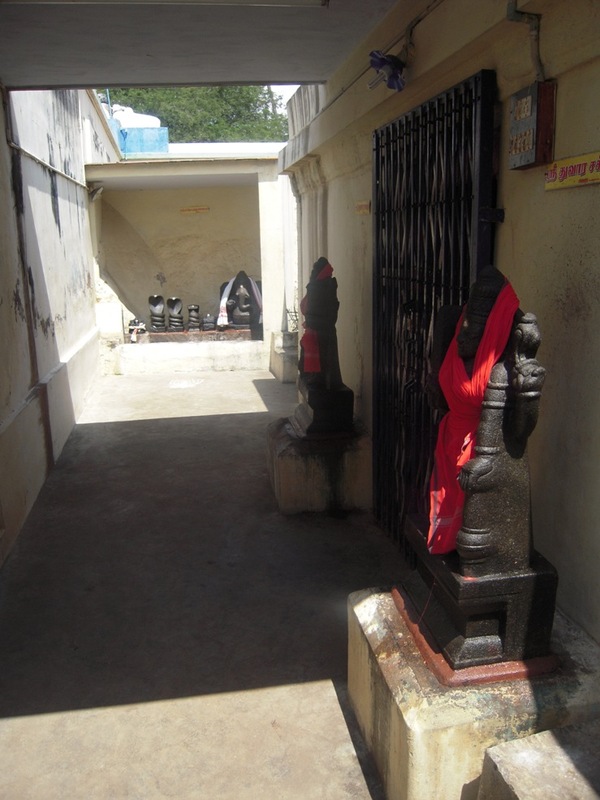 The mukha mandapa leads to the ardha mandapa where in its entrance on either side is seen the bas-relief sculptures of Ganesa and Muruga. The ardha mandapa is a small stone structure that adjoins the anterior wall of the rock cut shrine. The anterior wall of the sanctum is 2.17mts in the north-south direction and an aperture to a height of 1.67mts and to a width of .84mts is formed in the centre. The sanctum entrance has rock cut door jambs, lintel and sill. Adjoining the door jambs on both side two rims are shown; the outer rim is thin strip and the inner rim is little big and formed as rudra. Kapota is shown above the entrance. Fragments of inscriptions of Tamil and Telugu are found on the anterior wall of the sanctum and the mandapa wall. The sanctum is cubical with 2.70 mts in length and breadth. The shrine cell houses rock-cut Linga. The avudaiyar is .58mts and the bana is .55mts. The octagonal avudaiyar has padabandha features of jagati, rudra kumuda, kantha with pada flanked by kampa on either side and pattika. A small gomukha is on the north under it a scroll like support is shown.4 The sill is partly chiseled out to form an outlet to sanctum water which also continues along the northern side of the ardha mandapa. Vajana is running throughout the sanctum roof. The rock cut shrine is crowned by the newly constructed upper structures, a tala and dravida shikara above it. 1. Field visit on 19-06-2011. 3. At present the deity and the temple is known in this name.